Known for his discovery of exon-skipping technology, the development of Eteplirsen (Exondys 51), and his work in building the Ercole Biotech research biopharmaceutical company, Dr. Kole is a distinguished scientist and former executive of Sarepta Therapeutics, previously AVI Biopharma. Encompassing five decades of biotechnology and pharmaceutical work, Dr. Kole has also taught as a professor of pharmacology with the University of North Carolina Chapel Hill. He is the recipient of an Albert Nelson Marquis Lifetime Achievement Award, and was featured in the 66th edition of Who’s Who in America. While at Chapel Hill, Dr. Kole’s work focused on mRNA splicing, which modulates the flow of genetic information in all human cells from the DNA in the nucleus to generation of mRNA in the cytoplasm, followed by production of functional proteins. Dr. Kole and his group discovered that by using short fragments of chemically modified RNA, or oligonucleotides, one may manipulate RNA splicing, restoring the production of desirable, lifesaving proteins, ameliorating the disease. This invention of oligonucleotide induced modulation of pre-mRNA splicing is now being tested at Sarepta Therapeutics and other companies in a series of clinical trials for the treatment of Duchenne muscular dystrophy and other disorders. Dr. Kole is the author of over 100 scientific publications, trained over 40 graduate and post-doctoral students, and is a co-inventor on over 30 national and international patents. He is an active member of the American Society of Gene and Cell Therapy and Oligonucleotide Therapeutics Society. He has a lifelong passion for science and the education that serves as a foundation for his work. 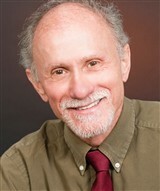 Prior to his careers in industry and academia, Dr. Kole earned a Master of Science from the University of Warsaw in 1969, a Ph.D. from the Institute of Biochemistry and Biophysics at the Polish Academy of Science in 1976, followed by postdoctoral training in biology and genetics at Yale University.